1 A None No Power Seat 1 A is a standard First Class seat located at a bulkhead which might have restricted legroom. The proximity to the galley and lavatory area might be bothersome. There is no floor storage for this seat during take-off and landing. 1 C None No Power Seat 1 C is a standard First Class seat located at a bulkhead which might have restricted legroom. The proximity to the galley and lavatory area might be bothersome. There is no floor storage for this seat during take-off and landing. 1 D None No Power Seat 1 D is a standard First Class seat located at a bulkhead which might have restricted legroom. The proximity to the galley and lavatory area might be bothersome. There is no floor storage for this seat during take-off and landing. 1 F None No Power Seat 1 F is a standard First Class seat located at a bulkhead which might have restricted legroom. The proximity to the galley and lavatory area might be bothersome. There is no floor storage for this seat during take-off and landing. 16 B None No Power Seat 16 B is a standard Economy Class seat that has extra legroom, but does not recline due to the Exit Row behind. This seat feels more spacious due to the missing window seat but the extra space to the left is not usable. 16 C None No Power Seat 16 C is a standard Economy Class seat that has extra legroom, but does not recline due to the Exit Row behind. 16 D None No Power Seat 16 D is a standard Economy Class seat that has extra legroom, but does not recline due to the Exit Row behind. 16 E None No Power Seat 16 E is a standard Economy Class seat that has extra legroom but does not recline due to the Exit Row behind. This seat feels more spacious due to the missing window seat but the extra space to the right is not usable. 17 A None No Power Seat 17 A is a standard Economy Class seat located in an Exit Row. Alaska Airlines classifies this seat as a "More Legroom" seat. A seat in front does not exist, therefore, there is exceptional additional legroom. The seat may be selected for an additional fee. The tray table is in the armrest, making the armrest immovable and slightly reducing seat width. There may be no floor storage during take-off and landing. 17 B None No Power Seat 17 B is a standard Economy Class seat located in an Exit Row with additional legroom. The tray table is in the armrest, making the armrest immovable and slightly reducing seat width. There may be no floor storage during take-off and landing. 17 C None No Power Seat 17 C is a standard Economy Class seat located in an Exit Row with additional legroom. The tray table is in the armrest, making the armrest immovable and slightly reducing seat width. There may be no floor storage during take-off and landing. 17 D None No Power Seat 17 D is a standard Economy Class seat located in an Exit Row with additional legroom. The tray table is in the armrest, making the armrest immovable and slightly reducing seat width. There may be no floor storage during take-off and landing. 17 E None No Power Seat 17 E is a standard Economy Class seat located in an Exit Row with additional legroom. The tray table is in the armrest, making the armrest immovable and slightly reducing seat width. There may be no floor storage during take-off and landing. 17 F None No Power Seat 17 F is a standard Economy Class seat located in an Exit Row. 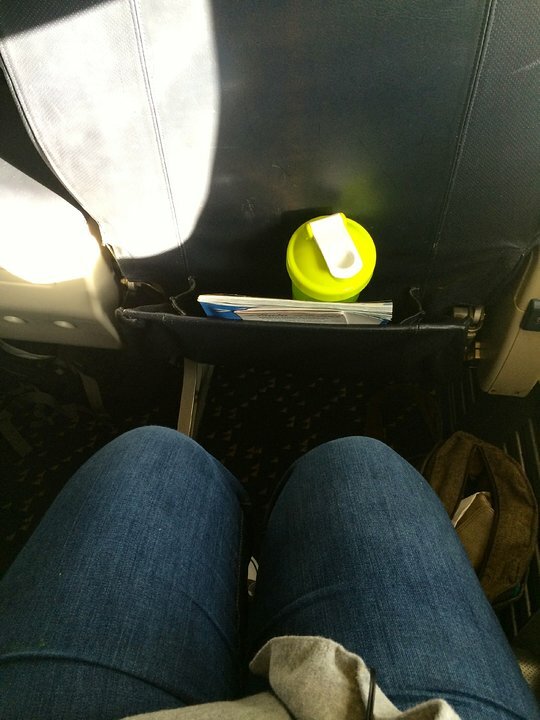 Alaska Airlines classifies this seat as a "More Legroom" seat. A seat in front does not exist, therefore, there is exceptional additional legroom. The seat may be selected for an additional fee. The tray table is in the armrest, making the armrest immovable and slightly reducing seat width. There may be no floor storage during take-off and landing. 27 C None No Power Seat 27 C is a standard Economy Class seat. The proximity to the galley and lavatory area behind might be bothersome. 27 D None No Power Seat 27 D is a standard Economy Class seat. The proximity to the galley and lavatory area behind might be bothersome. 28 A None No Power Seat 28 A is a standard Economy Class seat in the last row of the plane that might have limited recline. The close proximity to the galley and lavatory area might be bothersome. 28 B None No Power Seat 28 B is a standard Economy Class seat in the last row of the plane that might have limited recline. The close proximity to the galley and lavatory area might be bothersome. 28 C None No Power Seat 28 C is a standard Economy Class seat in the last row of the plane that might have limited recline. The close proximity to the galley and lavatory area might be bothersome. 28 D None No Power Seat 28 D is a standard Economy Class seat in the last row of the plane that might have limited recline. The close proximity to the galley and lavatory area might be bothersome. 28 E None No Power Seat 28 E is a standard Economy Class seat in the last row of the plane that might have limited recline. The close proximity to the galley and lavatory area might be bothersome. 28 F None No Power Seat 28 F is a standard Economy Class seat in the last row of the plane that might have limited recline. The close proximity to the galley and lavatory area might be bothersome. 6 A None No Power Seat 6 A is a standard Economy Class seat located at a bulkhead. The Bulkhead is a curtained divider that might be bothersome. 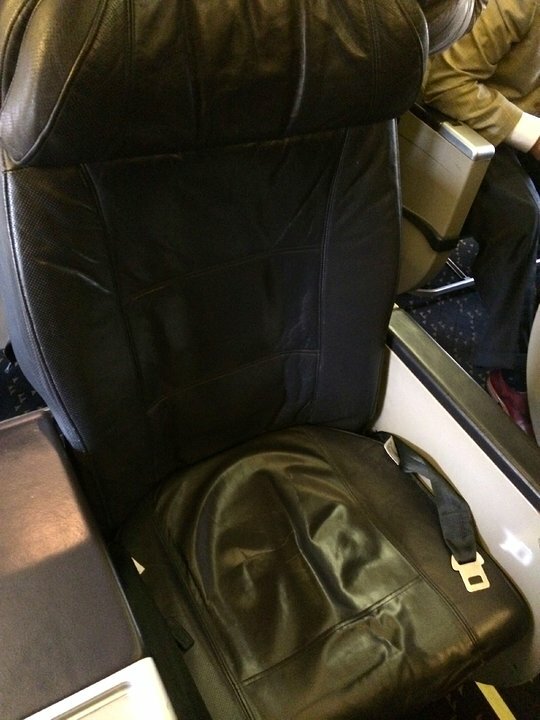 Alaska Airlines classifies this seat as a "More Legroom" seat. The seat may be selected for an additional fee. The tray table is in the armrest, making the armrest immovable and slightly reducing seat width. There may be no floor storage during take-off and landing. 6 B None No Power Seat 6 B is a standard Economy Class seat located at a bulkhead. The Bulkhead is a curtained divider that might be bothersome. Alaska Airlines classifies this seat as a "More Legroom" seat. The seat may be selected for an additional fee. The tray table is in the armrest, making the armrest immovable and slightly reducing seat width. There may be no floor storage during take-off and landing. 6 C None No Power Seat 6 C is a standard Economy Class seat located at a bulkhead. The Bulkhead is a curtained divider that might be bothersome. 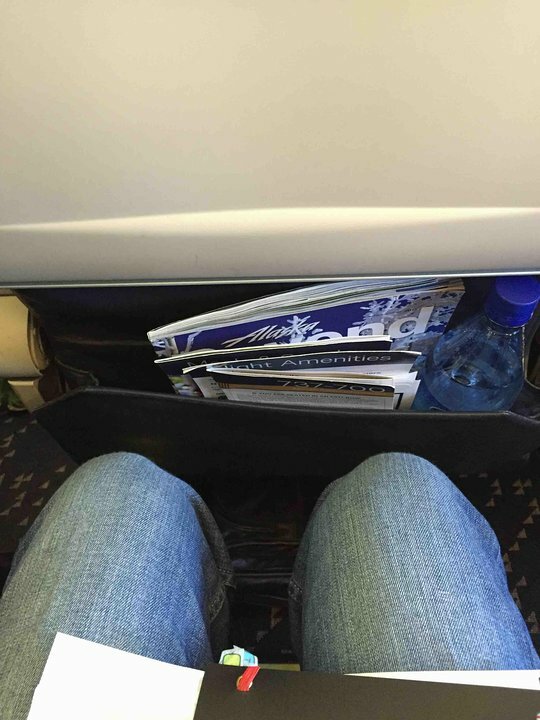 Alaska Airlines classifies this seat as a "More Legroom" seat. The seat may be selected for an additional fee. The tray table is in the armrest, making the armrest immovable and slightly reducing seat width. There may be no floor storage during take-off and landing. 6 D None No Power Seat 6 D is a standard Economy Class seat located at a bulkhead. The Bulkhead is a curtained divider that might be bothersome. Alaska Airlines classifies this seat as a "More Legroom" seat. The seat may be selected for an additional fee. The tray table is in the armrest, making the armrest immovable and slightly reducing seat width. There may be no floor storage during take-off and landing. 6 E None No Power Seat 6 E is a standard Economy Class seat located at a bulkhead. The Bulkhead is a curtained divider that might be bothersome. Alaska Airlines classifies this seat as a "More Legroom" seat. The seat may be selected for an additional fee. The tray table is in the armrest, making the armrest immovable and slightly reducing seat width. There may be no floor storage during take-off and landing. 6 F None No Power Seat 6 F is a standard Economy Class seat located at a bulkhead. The Bulkhead is a curtained divider that might be bothersome. 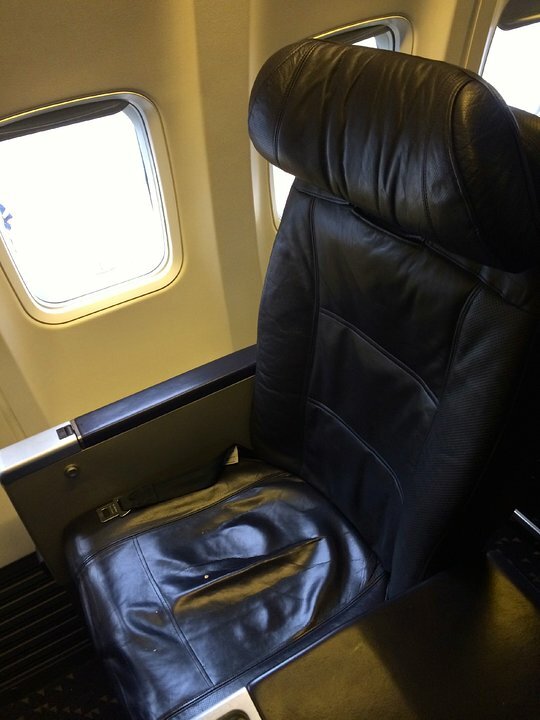 Alaska Airlines classifies this seat as a "More Legroom" seat. The seat may be selected for an additional fee. The tray table is in the armrest, making the armrest immovable and slightly reducing seat width. There may be no floor storage during take-off and landing. Alaska Airlines operates the Boeing 737-700 type aircraft on short- and medium-haul routes. The aircraft does not offer inflight power, however, all aircraft are equipped with inflight WiFi. SLC-SEA, winter, evening: Standard window seat, offers nice view, though parts can be blocked by wing. But, I was flying on an "eternal sunset" flight (flying west while the sun sets), so it offered a wonderful view of the sunset above the clouds, and over the wing. Seat is fine for a two hour flight, and the aircraft is comfortable. headrests, in my opinion are uncomfortable, and if Alaska is keeping these for a while I would rather have less padding from a slimline that a sore neck. 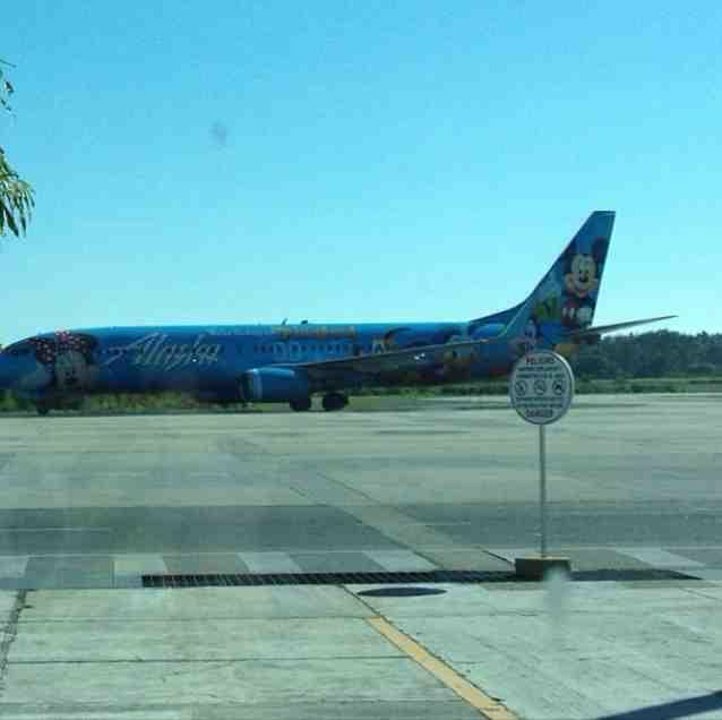 I had a lot of kids going to disneyland from SEA to LAX, so you might factor that. I flew this from KSAN to PDX. 1) Seats were comfy. 2) Lots of legroom. 3) Great flying plane. All in all, great customer service and quality!!! Only good seat,on the plane. All economy seats including exit row are,cramped with very limited room. Great plane and great airline. Alaska Airlines has shown what a good airline is. Now I fly them on all my vacations. New plane+lots of legroom!! Alaska Airlines flies 1 versions of Boeing 737-700.